Council is establishing a number of Recycling Stations in the more remote areas of the District. 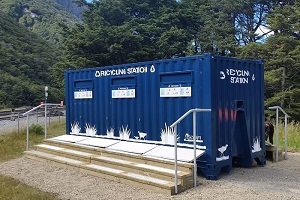 The first Recycling Station was launched in Arthur’s Pass in February 2017 and the second was installed just before Christmas 2017. Arthur’s Pass Recycling Facility #1 is located opposite the Alpine Motel and #2 is located at the campground adjacent to the public toilets (location map [PDF, 256 KB]). Both stations have been funded with support from the Ministry for the Environment's Waste Minimisation Fund. 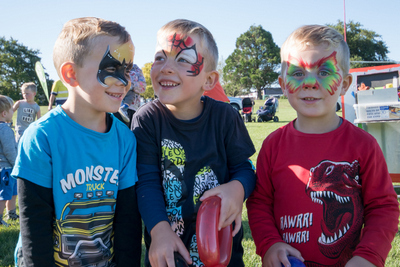 Waste Management NZ Ltd funded the cost of siteworks at both locations. The recycling stations are constructed from modified 20 foot shipping containers and fitted with kea-proof flaps to reduce the risk of the inquisitive birds moving the bin contents elsewhere or harming themselves by eating the contents. Glass bottles and jars, plastic containers 1 – 7, steel and aluminium cans, as well as paper and cardboard can be recycled via this service. Please ensure containers are empty, clean and with their lids off. Recyclables contained within bags is treated as refuse by the machinery that sorts the recycling. Please ensure all recyclables are put in “loose”. Please respect our neighbours and their guests by depositing recycling during reasonable daylight hours. A refuse bin is also provided next to each recycling station. The signage is very clear. If you see someone depositing rubbish into the recycling station, please say something (if you feel comfortable). It is very important that the recycling stream is kept contamination free in order for the service to be successful. If you see anything that needs attention, please contact our helpline.